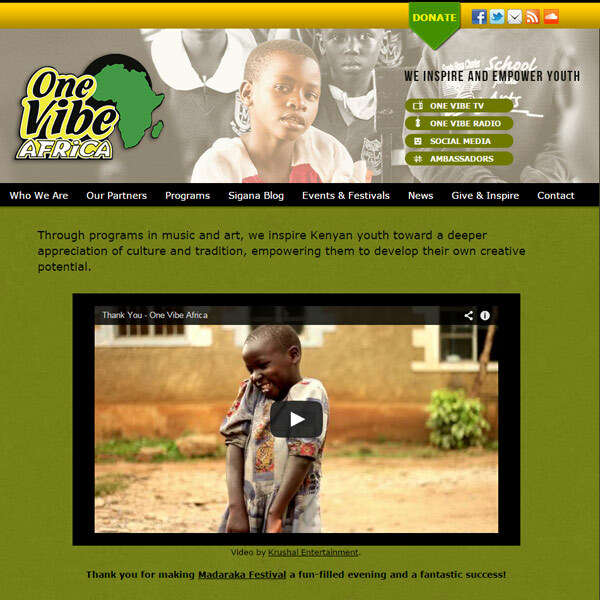 One Vibe Africa is a non-profit organization that is dedicated to engaging Kenyan youth in the cultural arts, by managing and funding programs in music, dance, visual art and writing. Simon Okelo wanted the site to be a hub for people involved in the arts in Kenya and in the US. He also wanted to be able to update the One Vibe site himself, including a blog, so WordPress was selected as the site platform. The target audience would include funding organizations, so the site needed to present its information in a structure that would be easily accessed.